Training on the latest techniques for maintaining your social media following! 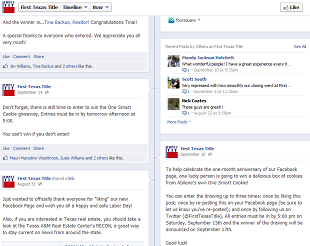 We developed an integration with First Texas Title's Facebook page so they could display their recent Facebook updates in real-time on their website! 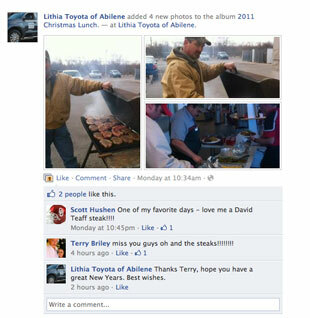 Drive Simplicity helped Lithia Toyota of Abilene further develop a personal relationship with their customers through social media tools. Customers can freely discuss feedback, follow Lithia events, and even win prizes on their Facebook fan page or by following them on Twitter.